BEVERLY HILLS, CA - JANUARY 29: Presenter Steven Spielberg and winner Clint Eastwood pose with the DGA Feature trophy in the press room during the 57th Annual DGA Awards Dinner at the Beverly Hilton Hotel on January 29, 2005 in Beverly Hills, California. The Directors Guild of America (DGA) is a labor union whose essential purpose is to provide support services and benefits to its members. 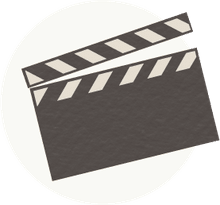 Its goal is to ensure that film and television directors are credited for their work and to advocate for better working conditions for directors. The DGA has also helped negotiate "final cut" rights so that filmmakers can have final approval over the edit of a film. About 90 percent of the winners for the DGA Award for Best Director go on to win the Academy Award for Best Director in the same year. Unlike the Writers Guild of America, the DGA does not have a history of repeated strikes. The only DGA strike of record occurred in July 1987 and lasted just three hours for New York City members (because of time zone differences, Los Angeles members were only officially on strike for about one minute). The strike was in response to requests from motion picture studios for a radical change in residual payments, which is one of the primary benefits the DGA negotiates for its members. The DGA Awards debuted in 1948 with one award: the Directors Guild of America Award for Outstanding Directorial Achievement in Motion Pictures. The honor has been handed out annually ever since. Historically, the winner of the DGA Award for Best Director has gone on to win the Academy Award for Best Director about 90 percent of the time. The last film director to win the DGA Award but not the Oscar for Best Director was Ben Affleck for 2012's Argo. The DGA has added new award categories over the years, including awards for documentary directors, first-time directors, television directors, and special programming. In addition, the DGA has several special achievement awards, including Lifetime Achievement in film, television, news direction, and sports direction. Prior to the official DGA Awards, the DGA awarded the Honorary Life Member Award "in recognition of leadership in the industry, contribution to the Guild and the profession of directing, and outstanding career achievement." The first recipient of this award was D.W. Griffith, who was honored in 1938. The DGA states that each feature film should have only one credited director. The final directing credit for any film or television program released by a major studio and a DGA member is determined by the DGA. Exceptions are made for pairs of filmmakers who work as a team, such as the Wackowskis, Joe and Anthony Russo, and Joel and Ethan Coen (though the Coens did not share directing credit until 2004's The Ladykillers). The DGA has additional rules to prevent other individuals from claiming a directing credit on a film. 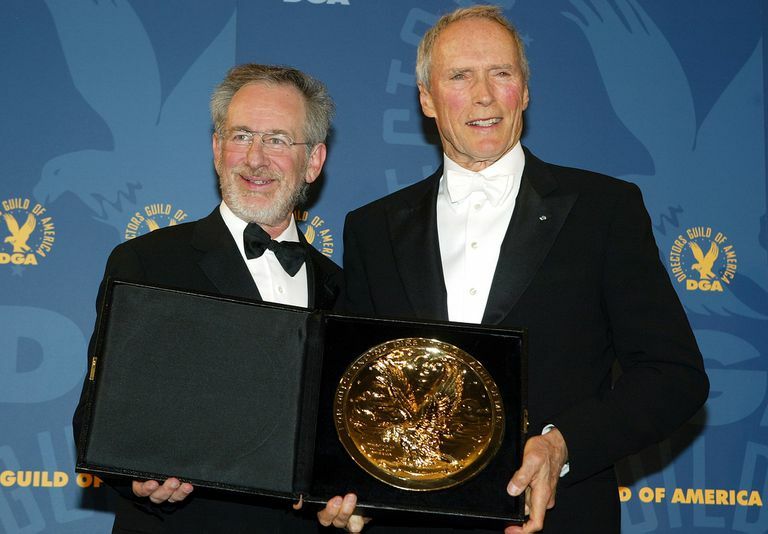 For example, after actor Clint Eastwood demanded that director Philip Kaufman be fired during production of The Outlaw Josey Wales and then directed the film himself, the DGA instituted a rule to prevent cast or crew from replacing a director. The "only one director" rule also caused conflict in the case of Sin City (2005), an adaptation of writer/director Frank Miller's comic series. Director Robert Rodriguez wanted to credit Miller as co-director because of how closely they worked together on set. The DGA refused to allow joint credit, so Rodriguez resigned from the DGA so Miller could be credited as co-director. The DGA also has rules about the placement of a director's name in a film's opening credits (unless in the case of a film with no opening credits). Notably, filmmaker George Lucas resigned from the DGA after the Guild told him that the text "A Lucasfilm Limited Production" could not appear before the title of The Empire Strikes Back (1980) unless the film's director, Irvin Kershner, was also credited before the title. The DGA believed the "Lucasfilm" credit was too close to Lucas' name and that the actual director of the film was not receiving proper credit. Lucas did not want to change the unique credit format established in 1977's Star Wars, so he resigned from the DGA.